Editor’s note: This post is a Care2 favorite. It was originally published on October 29, 2012. Enjoy. It’s hard to argue with vegans’ reasons for excluding eggs from their diet. To start, laying hens are crammed into wire cages that allow each hen a living space less than the size of an 8 ½” x 11″ sheet of paper. Virtually every natural behavior is thereby thwarted, including nesting, scratching, foraging, preening, dust-bathing and simply flapping their wings. Disease runs rampant, the stench of ammonia from feces saturates the air inside the shed and carcasses are left lying among the surviving hens. At only two years of age, after being forced to produce more eggs in that time than their bodies are designed to handle, these hens are “spent” and so sent to the slaughterhouse for processing. There’s also the horrifying fact that for every laying hen subjected to this systematic abuse, there is a male chick — more than 200 million of them every year – that’s killed the day it’s born, tossed into a trash bag to suffocate or ground up by a macerator while it’s still alive. Why? Because it can’t lay eggs (being male) and won’t grow fast enough to be profitably raised for meat (having been born as a layer versus a broiler chick). These are the widespread practices of an egg industry focused on maximizing profits at any cost to animal welfare and ethical responsibility. A happy hen has a comfortable place to live and is free to engage in every natural behavior that occurs to her, including broodiness (see #4 below). As she would in the wild, she lives among several other hens and a rooster. She’s well cared for and raised by a local farmer you trust or by yourself in your own backyard, in which case she can be considered part of your family, a beloved pet like any other. You can “candle” eggs, or hold them up to a light, to figure out which are fertilized and which are not, according to LocalHarvest.org. The ones that appear opaque are fertilized. At any rate, while well-meaning eaters may choose to eat only infertile eggs, they are nonetheless also implicated in whatever becomes of the eggs with actual prospects for life. So let’s consider that next. Not all fertilized eggs hatch. They have to be incubated by a broody hen (see #4 below) or an artificial incubator, and even then there’s no guarantee. But what about those that do hatch? 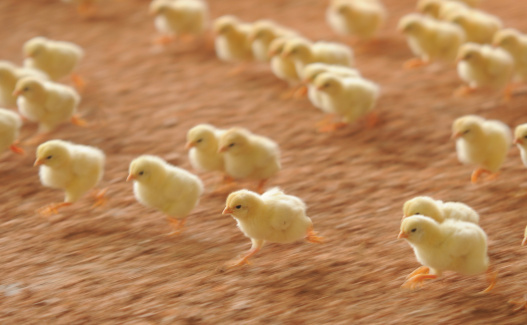 What becomes of the chicks — male or female — born on better farms? At Alexandre EcoDairy Farms, the chicks simply become members of the flock, including the males that get to grow up to be roosters. The same goes for the chicks born on Eatwell Farm, though Mr. Waters adds that very aggressive roosters are no longer tolerated there, following an incident involving one of his young sons. Yet, it should be noted that even those farmers who go out of their way to provide plenty of pasture, good shelter and the highest-quality diet for their chickens and who also welcome newly born chicks on their farm — even those farmers get their chicks from hatcheries that routinely discard most of the males. So you may also want to look for a farmer that sources his or her chicks from heritage chicken breeders (see below), or you might at least inquire about the practices at the hatcheries he or she uses. The eggs supplied by factory farms as well as many small, local farms come from hens that have been bred not to brood — i.e., not to want to sit on, incubate and hatch their eggs with a view to mothering a brood of chicks. The behavior, after all, is an inconvenience to commercial farmers who want their hens to be as productive as possible laying eggs rather than warming them. This is where we enter a grayish area of right and wrong. Is it enough that the very hen who laid the infertile eggs you’re about to eat was raised humanely? Or is it wrong to eat eggs laid by a hen — however she was raised — of any breed that was explicitly created to be exploited? I’m inclined to argue that it’s okay to eat eggs from any breed of hen as long as they were produced under otherwise happy circumstances. But for anyone who isn’t so inclined, your best bet is to get your eggs from a farmer who raises heritage breeds. So as far as I understand, one can eat eggs without abandoning one’s ethics. The problem is that the more than 6.5 billion table eggs (i.e., eggs intended for human consumption) that are produced in this country every month are of the unethical type. So for many ethically-minded eaters, it’s simply easier to exclude eggs from their diet altogether rather than try to track down “good” eggs. But they are in fact out there for those who want them. What Does “Free Range” Really Mean For Your Eggs? 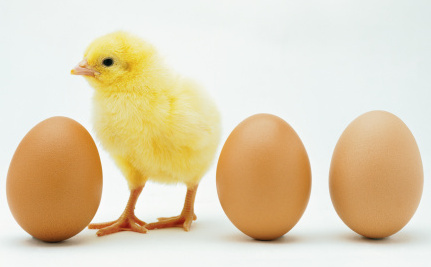 most farmers will kill the male chicks right after hatching, and will kill the hens once they don't lay enough eggs. But I agree with Chrissie R- if you have your own chickens, you KNOW how well they have been treated! I raise my own free-range chickens.